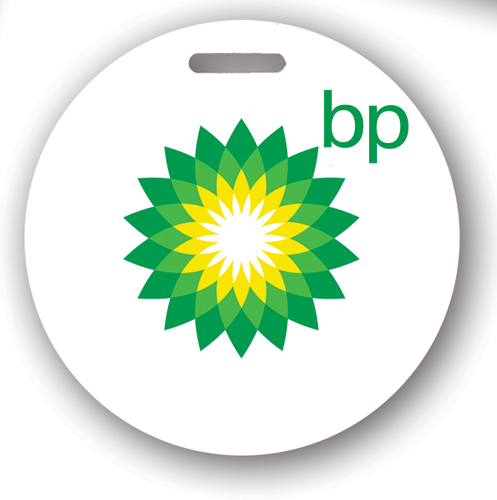 Write-on tags are constructed of .040" white polystyrene with a .010" reverse printed polycarbonate overlay. Material can be written on with permanent marker or pen. To add an address block to a tag, specify a standard ink color. Black will be used if none is specified. You may use our standard layout or provide artwork. No address block is included in the cost of the tag.